Beyond damaging and destroying physical infrastructure, natural disasters can lead to outbreaks of infectious disease. 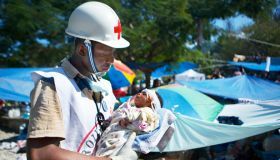 In this article, two UNU-IIGH researchers and colleagues review risk factors and potential infectious diseases resulting from the secondary effects of major natural disasters that occurred from 2000 to 2011, classify possible diseases, and give recommendations on prevention, control measures and primary healthcare delivery improvements. Over the past few decades, the incidence and magnitude of natural disasters has grown, resulting in substantial economic damages and affecting or killing millions of people. 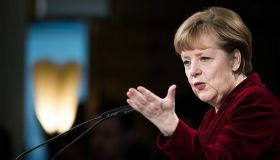 Recent disasters have shown that even the most developed countries are vulnerable to natural disasters, such as Hurricane Katrina in the United States in 2005 and the Great Eastern Japan Earthquake and tsunami in 2011. Global population growth, poverty, land shortages and urbanization in many countries have increased the number of people living in areas prone to natural disasters and multiplied the public health impacts. Natural disasters can be split in three categories: hydro-meteorological disasters, geophysical disasters and geomorphologic disasters. Hydro-meteorological disasters, like floods, are the most common (40 percent) natural disasters worldwide and are widely documented. The public health consequences of flooding are disease outbreaks mostly resulting from the displacement of people into overcrowded camps and cross-contamination of water sources with faecal material and toxic chemicals. Flooding also is usually followed by the proliferation of mosquitoes, resulting in an upsurgence of mosquito-borne diseases such as malaria. Documentation of disease outbreaks and the public health after-effects of tropical cyclones (hurricanes and typhoons) and tornadoes, however, is lacking. Geophysical disasters are the second-most reported type of natural disaster, and earthquakes are the majority of disasters in this category. Outbreaks of infectious diseases may be reported when earthquake disasters result in substantial population displacement into unplanned and overcrowded shelters, with limited access to food and safe water. Disease outbreaks may also result from the destruction of water/sanitation systems and the degradation of sanitary conditions directly caused by the earthquake. Tsunamis are commonly associated with earthquakes, but can also be caused by powerful volcanic eruptions or underwater landslides. Although classified as geophysical disasters, they have a similar clinical and threat profile (water-related consequences) to that of tropical cyclones (e.g., typhoon or hurricane). Geomorphologic disasters, such as avalanches and landslides, also are associated with infectious disease transmissions and outbreaks, but documentation is generally lacking. The overwhelming majority of deaths immediately after a natural disaster are directly associated with blunt trauma, crush-related injuries and burn injuries. The risk of infectious disease outbreaks in the aftermath of natural disasters has usually been overemphasized by health officials and the media, leading to panic, confusion and sometimes to unnecessary public health activities. The prolonged health impact of natural disasters on a community may be the consequence of the collapse of health facilities and healthcare systems, the disruption of surveillance and health programmes (immunization and vector control programmes), the limitation or destruction of farming activities (scarcity of food/food insecurity), or the interruption of ongoing treatments and use of unprescribed medications. 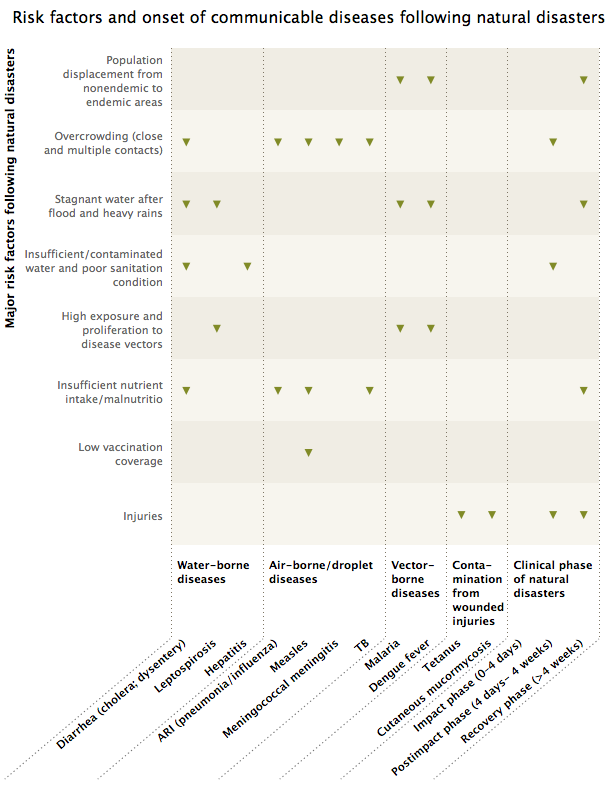 The risk factors for increased infectious diseases transmission and outbreaks are mainly associated with the after-effects of the disasters rather than to the primary disaster itself or to the corpses of those killed. These after-effects include displacement of populations (internally displaced persons and refugees), environmental changes and increased vector breeding sites. Unplanned and overcrowded shelters, poor water and sanitation conditions, poor nutritional status or insufficient personal hygiene are often the case. Consequently, there are low levels of immunity to vaccine-preventable diseases, or insufficient vaccination coverage and limited access to health care services. Phase (1), the impact phase (lasting up to to 4 days), is usually the period when victims are extricated and initial treatment of disaster-related injuries is provided. Phase (2), the post-impact phase (4 days to 4 weeks), is the period when the first waves of infectious diseases (air-borne, food-borne, and/or water-borne infections) might emerge. Phase (3), the recovery phase (after 4 weeks), is the period when symptoms of victims who have contracted infections with long incubation periods or those with latent-type infections may become clinically apparent. During this period, infectious diseases that are already endemic in the area, as well as newly imported ones among the affected community, may grow into an epidemic. It is common to see the international community, NGOs, volunteers, experts and the media leaving a disaster-affected zone usually within three months, when in reality basic sanitation facilities and access to basic hygiene may still be unavailable or worsen due to the economic burden of the disasters. Although it is not possible to predict with accuracy which diseases will occur following certain types of disasters, diseases can be distinguished as either water-borne, air-borne/droplet or vector-borne diseases, and contamination from wounded injuries. The most documented and commonly occurring diseases are water-borne diseases (diarrhoeal diseases and Leptospirosis). Diarrhoeal diseases cause over 40 percent of the deaths in disaster and refugee camp settings. 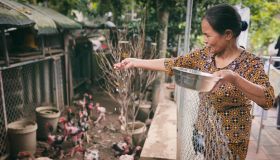 Epidemics among victims are commonly related to polluted water sources (faecal contamination), or contamination of water during transportation and storage. Outbreaks have also been related to shared water containers and cooking pots, scarcity of soap and contaminated food, as well as pre-existing poor sanitary infrastructures, water supply and sewerage systems. Diarrhoeal epidemics are frequently reported following natural disasters in developing countries. Floods are recurrent in many African countries, such as Mozambique, and usually lead to a significant increase in diarrhoeal disease incidences. 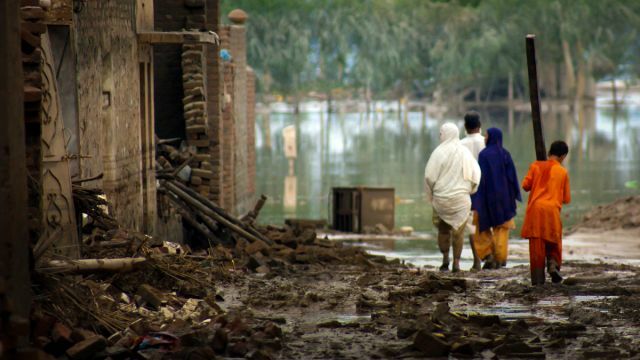 Following the 2005 earthquake in Pakistan, an estimated 42 percent increase in diarrhoeal infections was reported. In Iran, 1.6 percent of the 75,586 persons displaced by the Bam earthquake in 2003 were infected with diarrhoeal diseases. 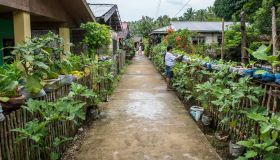 A rapid assessment conducted in Indonesia after the 2004 tsunami showed that 85 percent of the survivors in the town of Calang experienced diarrhoeal illness after drinking from contaminated wells. In Thailand, the 2004 Indian tsunami also contributed to a significant increase in diarrhoeal disease incidences. An investigation conducted in 100 households after the 2001 earthquake in El Salvador showed that 137 persons out of 594 (22 percent) experienced diarrhoeal infections. An evolving cholera epidemic was reported 9 months after the earthquake in Haiti, with a high fatality rate of 6.4 percent among the victims (of the 4,722 documented affected, 303 died). Only a small cluster of Norovirus cases was reported in evacuation centres some weeks after the Great Eastern Japanese Earthquake and tsunami, while various pathogens were confirmed among the populations displaced by Hurricanes Allison (2001) and Katrina in the US. Leptospirosis, the other frequently occurring water-borne disease, can be transmitted through contact with contaminated water or food, or with soil containing contaminated urine (Leptospires) from infected animals (e.g., rodents). Floods facilitate the proliferation of rodents and the spread of Leptospires in a human community. Investigations conducted in populations affected by flood disasters in 2000 in India and Thailand reported Leptospirosis epidemics. Increased risk factors and outbreaks were also reported after Typhoon Nali in China and Taiwan in 2001. On the topic of outbreak and classification, one final note regarding the myth of infectious disease transmission from dead bodies: Still controversial and frequently overstated is the assumption that dead bodies pose a significant risk for the transmission of infectious diseases after a natural disaster. Despite the vast number of deaths resulting from major disasters, no outbreaks resulting from corpses have been documented. The environment in which pathogens live in a dead body can no longer sustain them, since the microorganisms involved in putrefaction (decay processes) are not disease causing. There are a few situations, such as deaths from cholera or hemorrhagic fever epidemics, that require specific precautions, but families should not be deprived of appropriate identification and burial ceremonies for their dead relatives from disasters. Survivors of disaster present a much more substantial reservoir for potential infectious diseases. We recommend re-establishing and improving the delivery of primary health care. Medical supply should be provided, and training of healthcare workers and medical personnel on appropriate case management should be conducted. Public health responders should set up a rapid disease risk assessment within the first week of the disaster in order to identify disaster impacts and health needs. Practically, prompt and adequate prevention and control measures, and appropriate case management and surveillance systems are essential for minimizing infectious disease burdens. The prevention and control checklist provided in our paper shows the measures to be undertaken in order to avoid infectious diseases following natural disasters. Natural disasters and infectious disease outbreaks represent global challenges towards the achievement of the Millennium Development Goals. It is important for the public, policymakers and health officials to understand the concept that disaster does not transmit infectious diseases; that the primary cause of death in the aftermath of a disaster is non-infectious; that dead bodies (from disasters) are not a source of epidemic; and that infectious disease outbreaks result secondarily from exacerbation of disease risk factors. National surveillance systems and the establishment of continual practices of protocol for health information management have to be strengthened. In disasters, education on hygiene and hand washing, and provision of an adequate quantity of safe water, sanitation facilities and appropriate shelter are very important for prevention of infectious diseases. The assessment and response activities described above should be properly coordinated.